Ever since being selected outta St. John&apos;s by the Chicago Bulls in 1999, Ron Artest has taken the badass baton from Dennis Rodman and run with it. Of course, they don&apos;t cross-dress in QB (thankfully), so our collection of Ron Ron&apos;s greatest hits focuses on everything from his hilarious music career to his on-court (and angry fan) confrontations to his crazy talk-show appearances—basically, everything that makes #15 (and #23, #91, #93, #96...and then #15 again) the most exuberant and eccentric player the NBA has had in a long time. 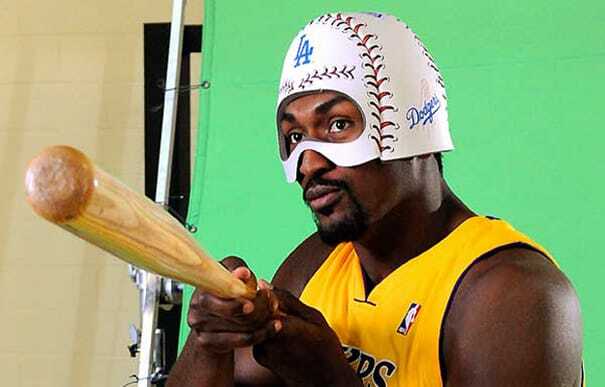 In celebration of his 31st birthday tomorrow, here is a collection of Ron Artest’s Most Badass Moments.